Well, I'm not usually a Forge World person (because they're so damned expensive that I'm priced out of them), but I guess this will be interesting for everyone. 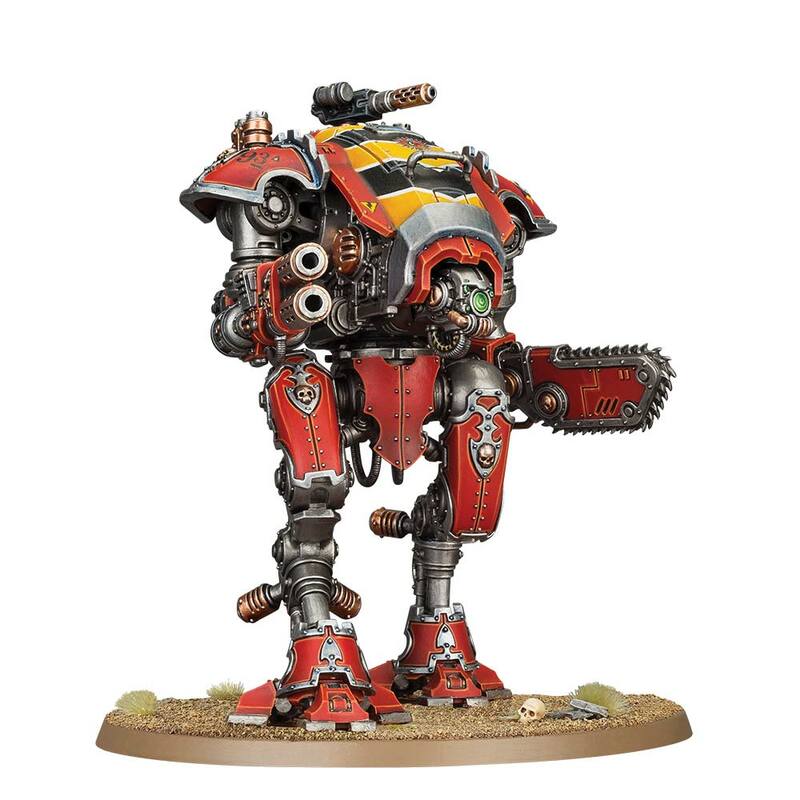 Basically, Forge World is writing rules for us to use the Dominus-class and Armiger-class Knights in Horus Heresy games. Warhammer Community has the article here. So check it out if that's your thing. 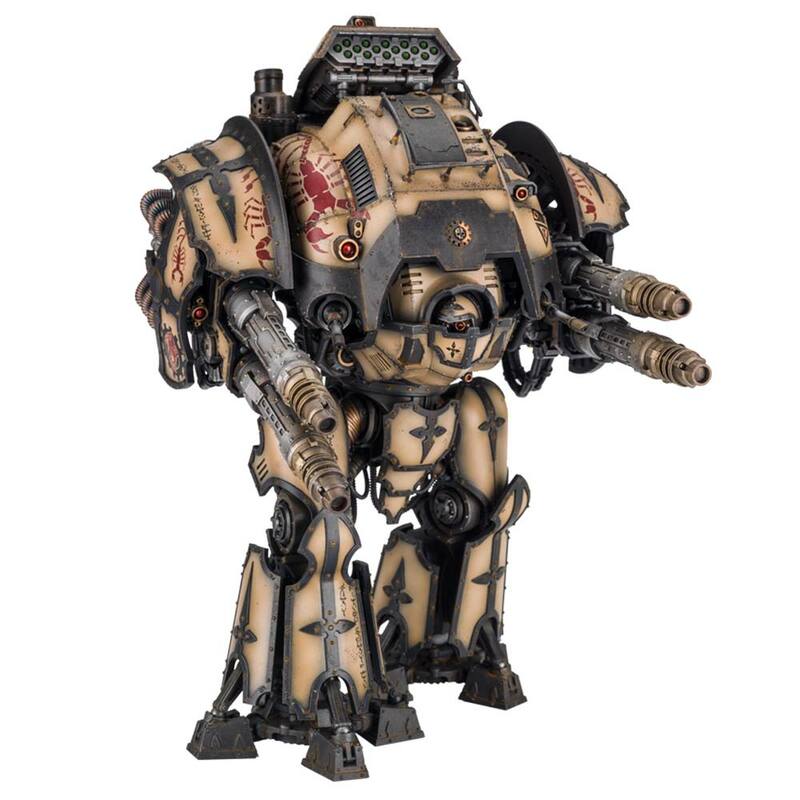 Apparently these designs have been retconned to have existed for a super-long time, since the ancient Dark Age of Technology and before the Horus Heresy. Why no one mentioned them in the lore or fluff, I can't say for sure, but...yeah. Whatever. But that's not all. 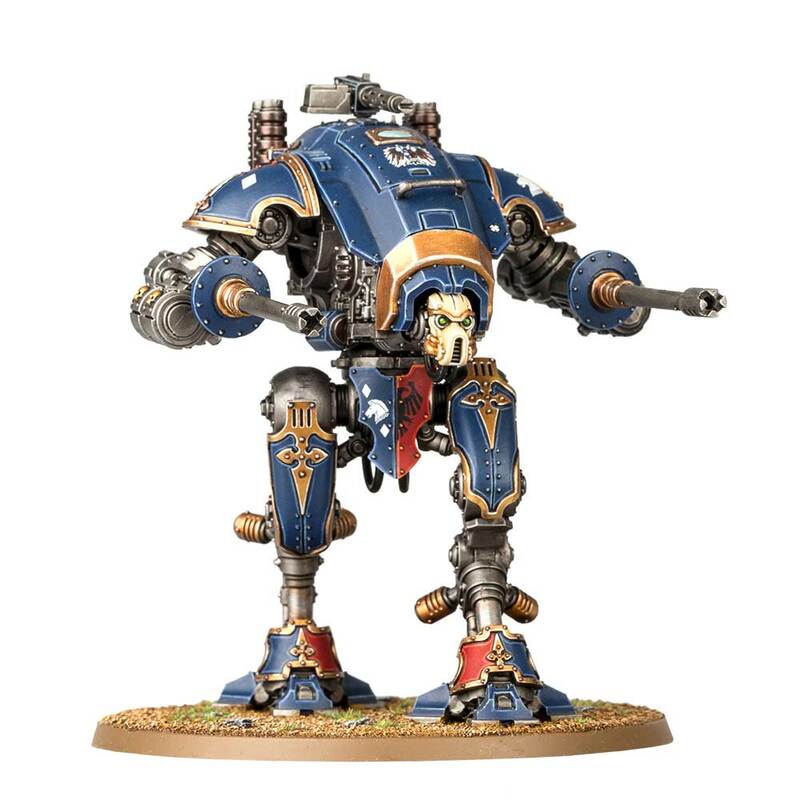 Apparently Forge World has been cooking up new Knights too. 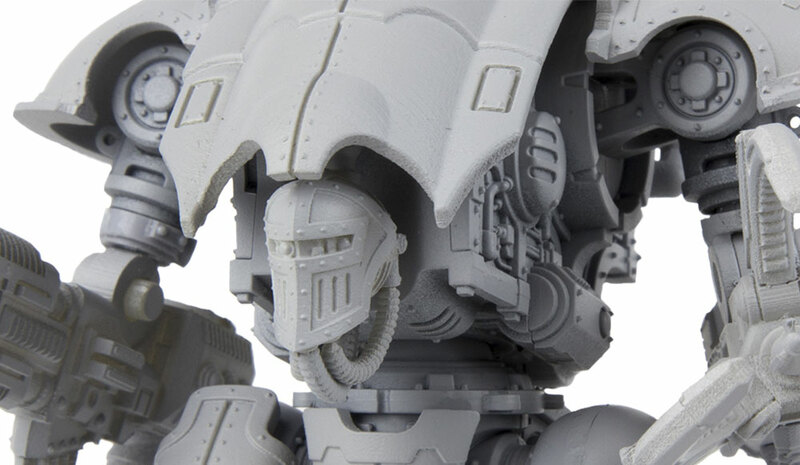 Instead of building transports for Adeptus Mechanicus or writing rules for old Mechanicum units (Thanatar, Castellax, Vorax, etc) in Imperial Armor or working on Fires of Cyraxus, the staff at Forge World decided to shelve that and work on building new Knights. Because they make more money than making rules for 30K Mechanicum units for 40K. So yeah. 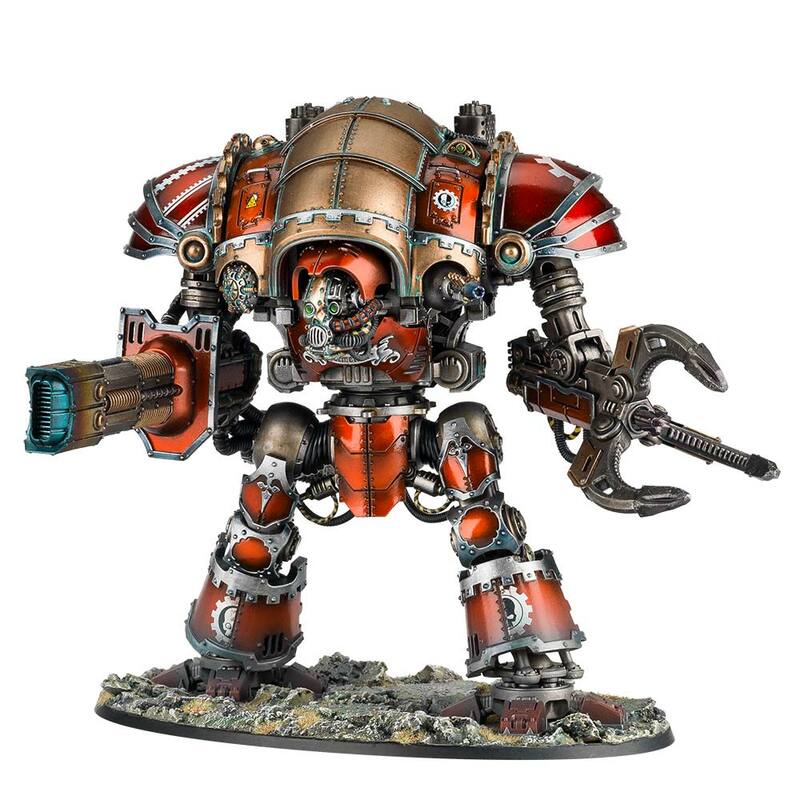 New Forge World Knight. Yay. Except that I can't afford that, so I'll pass. Plus resin is such a pain to work with. 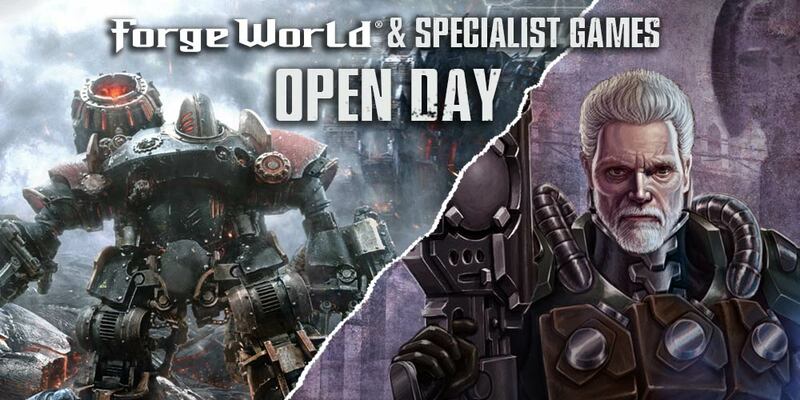 The Thanatar appearing in the Forge World Open Day seems promising, and could hint at a release of Fires of Cyraxus, but I won't hold my breath. Disappointed once, will be disappointed forever. If I don't expect anything, I'll be pleasantly surprised, much better than being bitterly disappointed yet again. You already know the Imperial Knights FAQ and Renegade Knights Index. After all, I already reported them in this blog (and I was faster than Natfka at Faeit 212 blog too!). 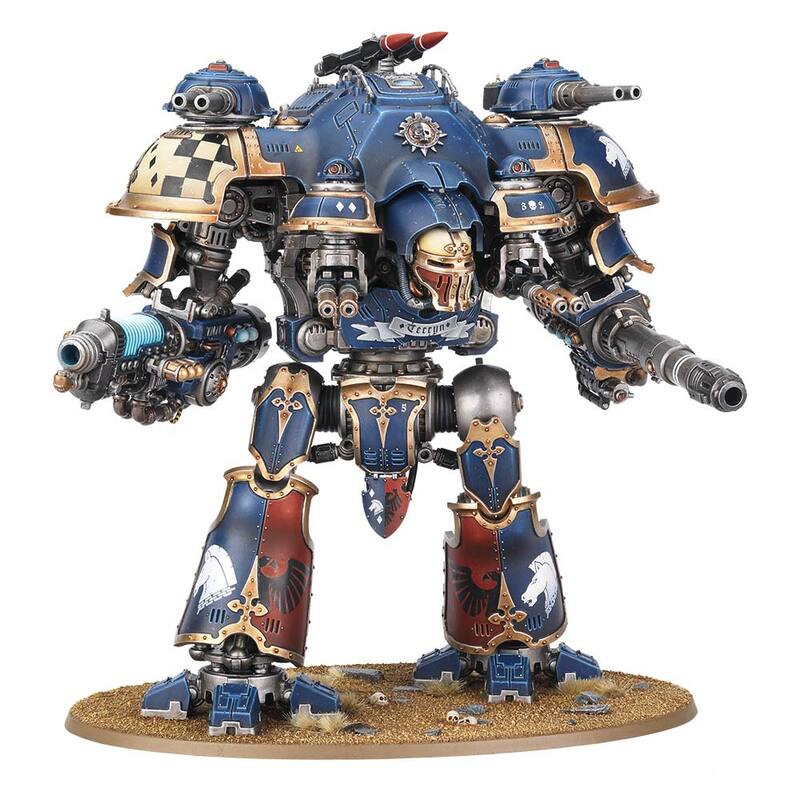 But just to remind you guys, the FAQ now allows us to use our Forge World Imperial Knights in our army rather than restrict it only to Dominus-class and Questoris-class Knights. As long as they're Titanic (and most of the Imperial Knights in Forge world - if not all - have the keyword Titanic), they're good to go. Oh, right. And not forgetting the Renegade Knights and their use of forge world Knights too. 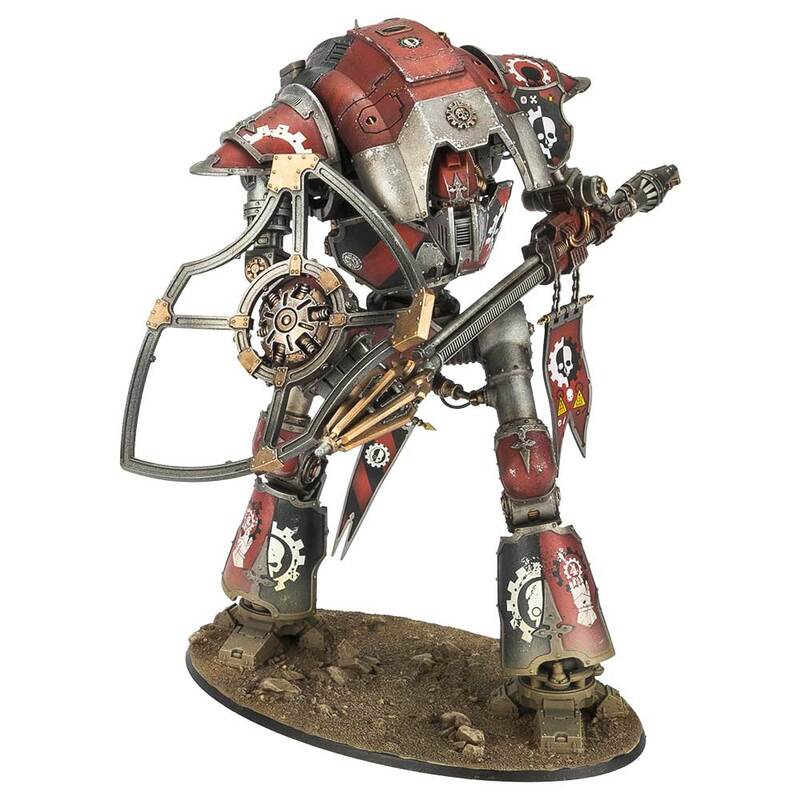 ...at least that's what the Warhammer Community said, but they posted loyalist Mechanicus Knights for the Renegade Knights pictures. Derp. 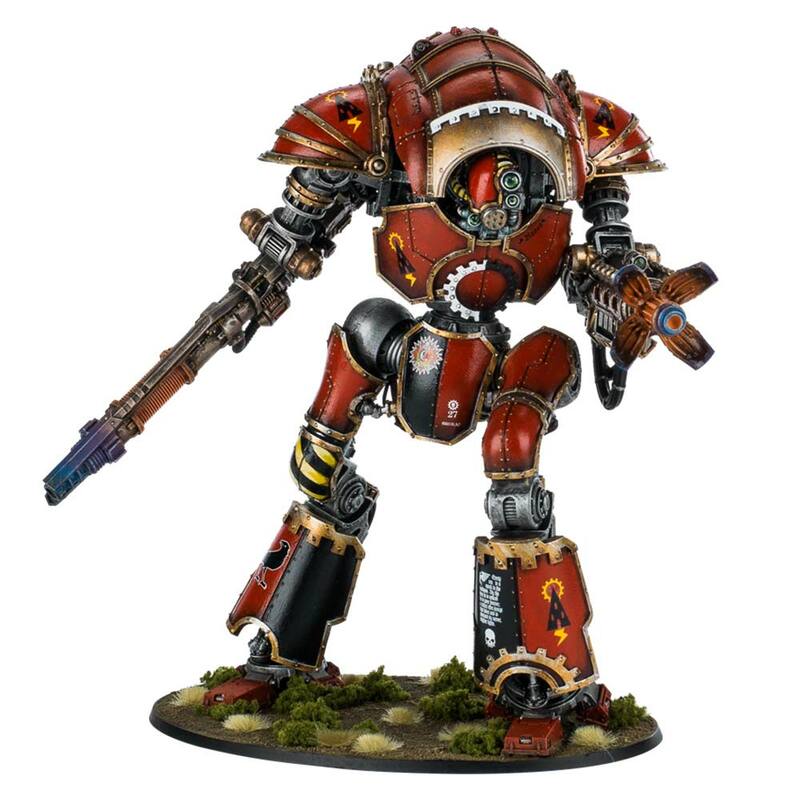 Anyway, you can check out the Forge World Knights here, or you can check out the Index for Renegade Knights and the Imperial Knights faq here. For the Emperor! 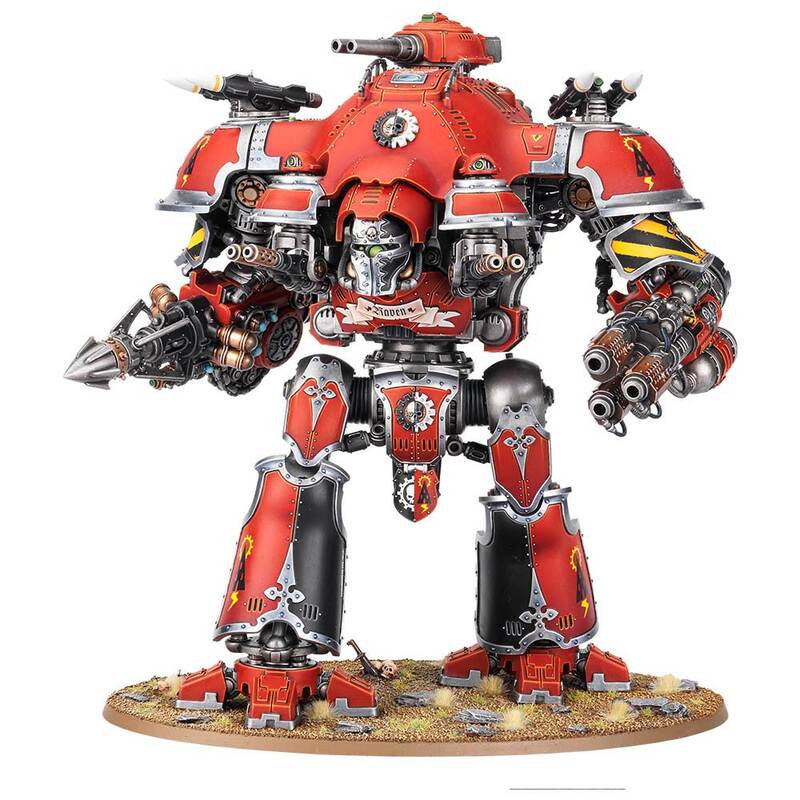 What truly puzzles me is that the plasma gun on the Castellan is clearly a newer Cawl-pattern design, with the side flasks and little 'pilot-light' thing beneath the barrel (both of which I dislike), so how they're going to square that with 30k I don't know. Good question. I honestly have no idea.